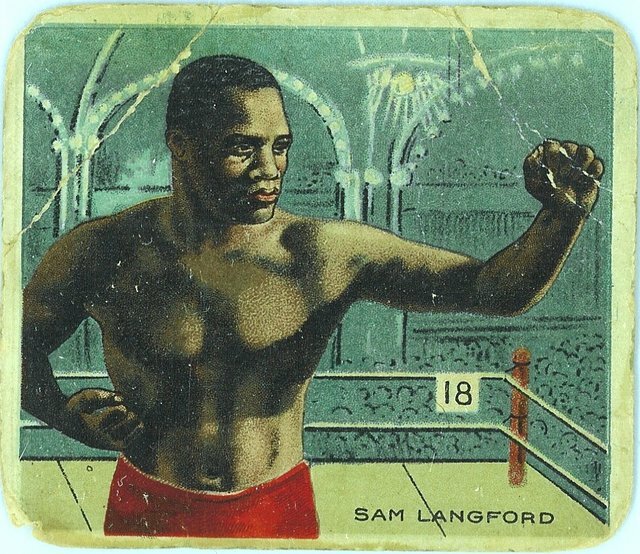 T218 Sam Langford. Perhaps the most widely collected T-type boxing cards are the T218 cards of Champion Athletes and Prizefighters, issued with various American Tobacco Company products. The T218 cards are beautiful examples of turn of the century lithography. The cards measure approximately 2 ½ x 2 7/8 inches, and typically contain a short write-up and fight statistics on the backs.